"In a survey last month, more than 12% questioned preferred creationism - the idea God created us within the past 10,000 years - to any other explanation of how we got here. Another 19% favoured the theory of intelligent design - that some features of living things are due to a supernatural being such as God. This means more than 30% believe our origins have more to do with God than with Darwin - evolution theory rang true for only 56%. "Opinionpanel Research's survey of more than 1,000 students found a third of those who said they were Muslims and more than a quarter of those who said they were Christians supported creationism. Nearly a third of Christians and 10% of those with no particular religion favoured intelligent design. Women were more likely to choose spiritual explanations: less than half chose evolution, with 14% preferring creationism and 22% intelligent design. "While three years of learning how to weigh evidence appears to make students slightly more inclined towards evolution, with 57% of third-years choosing it compared with 54% of first-years, it does not appear to put them off belief in God. As many third-years as first-years believed in creationism, although slightly fewer supported intelligent design." "The prefix 'techno' is used to denote a liking of technology and the possibility of improving the human condition through technology, a Technophile. At the same time these people have a cautious and educated attitude towards technology. (Just look at the horrors of modern warfare to take a peek at why not all is benign.) The word Islamicate denotes their background. While having a respect for Islamicate cultures, at the same time these people recogonize that not everything connected to Islamicate cultures is worth preserving. Now some would object that Islam or any other religion for that manner claims that following its doctrines would result in the best social arrangement in the world and thus a 'Techno-Islamicate' is an oxymoron. What this objection does not recogonize is that technology is one of the engines that drives changes in social arrangements in any society e.g., communication tecnologies has made it possible for what would have been fringe groups otherwise within Islam to dissiminate their views far and wide. There is also this assumption in a large section of Muslim community (even amongst the Muslims in the West) that they can instrumentally adopt Western (read Modern) technology without being affected by technology in any tangible manner. Basically it boils down to, "We can adopt these technologies coming from the West but not the ideas coming from there." What we end up is in a situation where slogans of "solving all our problems" are nothing more than empty slogans." I originally posted this on my old blog as "Against Muslim apologetics" a few years ago (May 2003). Reproduced here with some further editing. It has become common to hear of, and read of, the 'scientific miracle' of the Qur'an. Pamphlets, booklets, conferences, papers, debates and lectures; all have been used to disseminate the idea that the Qur'an contains 'facts' which have been discovered by 'modern science', but were unknown at the time of the Prophet (upon whom be peace), or were unknowable because of the sophistication we required in uncovering these 'facts'. The obvious conclusion the Muslim draws is that, the Qur'an was revealed by an All-Knowing God. For how else could the Prophet (upon whom be peace) have know about embryology, the theory of relativity, quantam physics, red giants and white dwarves, and cures for, among other diseaes and conditions, diabetes, tuberculosis and rheumatism, all of which are claimed to be 'scientific facts' revealed in the Qur'an? Yet, the question we have to ask at this point, one that is rarely raised in Muslim circles, is do these claims have any substance? Can they stand up against a stringent scientific, philogical and literary criticism? The simple answer, I am afraid to say, is no. Unfortunately, in their desire to "prove" the foundation of their faith, some Muslims have resorted to these poor polemics and pushed what, in my opinion, is barely third-rate scholarship. Not only is the 'science' poor in these works, the methodology employed to prove these 'scientific-facts' is less than scientific, and further, the whole endeavour makes a mockery of the Qur'an and its purposes. All this has been noted by Imran Aijaz, a Muslim student of philosophy, based (I believe) in New Zealand. He has set out a critical examination of the 'scientific miracles' (the combination of these words appears to be oxymoronic) apologia, in his ongoing paper, "Evidentialist Apologetics in Islam". The second part of this paper is of importance to this post, because this is where the criticism of the scientific miracles is made. Aijaz's paper is a very good read, which I recommend to all interested in examining an example of an arbitary Qur'anic hermeneutic, which (as far as my understading takes me) has little basis in Muslim scholarship, whether traditional or contemporary. Below I have highlighted some of his main points, and I have also added a few comments of my own. The main thrust of his criticism is centred on the flawed methodology employed by Muslim apologists. To begin with Aijaz outlines the two main sources for the apologetic argument, Maurice Bucaille's popular work, The Bible, The Qur'an, and Science , and Keith Moore's paper to an Islamic journal, "A Scientist's Interpretation of References to Embryology in the Qur'an". Further, he provides a concise summary of another Muslim critic of the scientific-apologetic argument, Ziauddin Sardar, who is most well-known for his works on postmodernism, scientific and cultural studies as well some issues on Islam. [The scientific-miracles apologia] opens the Quran to the counter argument of Popper's criteria of refutation: would the Quran be proved false and written off, just as Bucaille writes off the Bible, if a particular scientific fact does not tally with it, or if a particular fact mentioned in the Quran is refuted by modern science? Personally, I have never met a person who made the purposeful decsion to "become a Muslim" based on some 'scientific fact' which he or she thought existed in the Qur'an (or the hadith literature, for this is also apparently replete with scientific discoveries). Does a Muslim believe in God, and specifically the messengership of the Prophet (upon whom be peace), because some 'scientific miracle' they read about? It isn't that superficial, I hope. No, 'faith' is something best described as being 'organic', something a lot deeper than the shallowness of these supposed 'mircales'. Why then do we expect a non-Muslim to buy this nonsense? Why should we think certain verses are really modern, scientific statements any more than we should consider them as allegorical, metaphorical or symbolic verses? It is this seemingly ad hoc methodology, which is the bone of contention, for both Aijaz (and myself). Verses are plucked from the Qur'an, more often than not in their English translation (some of which are not very good) and then given the most random "scientific" exegesis. Why, of all the interpretations of a verse in the Qur'an, must a Muslim take the one which accords to 'modern science'? What happened to the literal, the allegorical and the mystical interpretations? Why are they not considered? What is even more intriguing is that, very often (and this is anecdotal) the same people arguing for the 'scientific hermeneutic', that is to say a radically new interpretation of the Qur'an (for such scientific facts were unknown prior to their discovery), are the same people who often reject any form of reinterpretation of, say, the legal or theological bases in the Qur'an. On the one hand they tend to savage any alternative look at the Qur'an (and hadith) because such attempts are out of synch with our previous generations' attempts; yet on the other they promote this 'science' in the Qur'an argument, when previous generations neither made such interpretations (nor would they have been able to, given they did not know about this 'scientific fact')! The circularity is quite apparent and 'science' and 'reasoning' are conspicuous by their absence! No scientific miracles apologist has thoroughly laid out his rules for scientific exegesis, nor defended the legitimacy of interpreting the Qur'an scientifically. Would a Muslim who supports such claims of 'scientific miracles' be able to provide a stringent methodolody for his scientific hermeneutic? For when we try and interpret the Qur'an we resort to a methodology. Whether they have been traditionalists, modernists, reformists, mystics, jurists, etc. Muslims have resorted to some kind of method, developed for the purposes of interpreting the Qur'an. But the single thing which marks all of these techniques of interpretating the Qur'an is the layout of a set of rules of exegesis, which they try and adhere to, and which others can comment and criticise as neccesary. Where is such a hermeneutical model from the scientific apologists? It seems non-existent. Though the Muslim apologist is quick to pick up the works of a non-Muslim like Bucaille and Moore in promoting his 'scientific' argument, criticism of the Qur'an, based on science (especially by a non-Muslim) is surely so heretical that is must cause alarm among the promoters of this cheap polemic, many of whom are not scientists and so have little understanding of scientific methdologies. For if they had known that by accepting 'modern science' as a criterion by which the contents of the Qur'an are judged, then surely they would have realised that science allows for the method of falsification. And when we apply 'modern science' to the Qur'an, in order to refute its contents, we find that it can be falsified. For what does 'modern science' say about virgin briths, raising of the dead, staffs which turn to serpents and the existence of jinns? Negative evidence 'refutes' the Qur'an, if we follow the apologists line of thinking to its logical conclusion (i.e. making 'science' the criterion of the Qur'an). But are Muslim apologists about to open the Qur'an to 'modern science'? The answer is again all too obvious, and I shall let the reader decide. In addition, we are now into the question of who is the arbiter of such 'scientific' interpretations? A Muslim scholar will have a knowledge of Arabic, its grammer and sources, of the hadith literature, of commentaries and explanations of source materials, of the opinions and interpretations of the previous generations, of the application and philosophy of juristic reasoning, and so on. But he will not necessarily be a scientist or a philosopher of science. So does a scientist interpret? Moore did so, but he was no philologist, so paid no attention to principals of exegesis, relying on translations of the Qur'an. In addition, if we do let modern scientists provide a 'scientific interpretation' of the Qur'an, what is the scope for a non-Muslim scientist to interpret the Qur'an, reject it on the basis of 'modern science', and then have Muslims accept his argument (because science does not belong to one religious grouping)? None, despite whatever his scientific credentials might be. We can see, that this sort of endeavour has opened a can of worms, which the Muslim apologist has no wish to answer. I find this sort of attitude to be very curious, inconsistent vis-à-vis the coherence of one's religious beliefs, and downright irritating [...] Apologists like [Dr. Zakir] Naik want to have their cake and eat it too. On one hand, they argue that their belief is scientifically unfalsifiable, because belief in the Qur'an for them is supra-rational, and it is the ultimate yardstick. On the other hand, they are reasoning with the unbeliever that it would be irrational for him or her to reject the scientific evidence for the Qur'an which has been put on the table, proving once and for all that it is God's Word. And yet, this sort of contingency is precisely which the apologist rejects. For if negative scientific evidence was put on the table, attempting to refute the Qur'an (say, for example, the impossibility of virgin births, non-existence of jinns, etc) he would simply shift the goal-post and argue that it is a category mistake to judge the Qur'an using science. The absurdity and hypocrisy of this position is glaring. Aijaz proposes that a Muslim, who is in general a fideist (that is one who places 'faith' over 'reason'), remains a fideist and rejects this apologia which makes no sense and is so far from science. I would say that, as the apologist himself points out, to judge the Qur'an by 'modern science' is a false attempt. That is because it never claims it has provided man with some far-fetching 'scientific' miracle. It may draw humanity's attention to physical phenomena (insofar as they are 'scientific facts'), but these are something which are already known through observation and experience (e.g. the existence of the Sun and the Moon, the day and the night, and so on). The Qur'an calls itself a "book of guidance" . What kind of guidance? Surely page after page it exhorts man to keep taqwa ('God consciousness'), so it can really only mean moral and metaphysical guidance. And if this is the entire theme of the Qur'an, then aren't all the verses to be understood in light of the moral precepts in reason and revelation? I think it would be best for Muslims to refrain from engaging in this mockery of the Qur'an, and send this worn-out apologetic straight into the dustbin, where it belongs. This entire attempt is surely just miracle-mongering and an attempt to provide the modern Muslim with some substance in order to withstand the onslaught of developments in science (which has replaced other knowledges as the pinnacle of modern achievement). But it is the poverty of thinking which drives this sort of discourse which is so alarming. Maurice Bucaille, The Bible, The Qur'an, and Science, Indianapolis: American Trust Publications, 1979. Keith L. Moore, "A Scientist's Interpretation of References to Embryology in the Qur'an". In: The Journal of the Islamic Medical Association, Vol.18, Jan-June 1986, pp.15-16, available on-line. A physicists review of Žižek!, a documentary on Slovenian philosopher and cultural critic Slavoj Žižek. A week ago it was the turn of the US philosopher Daniel Dennett, second only to Dawkins in the global ranking of contemporary Darwinians, to be similarly feted at a series of lectures and debates across the UK launching his book on religion, Breaking the Spell. The curious thing is that among those celebrating the prominence of these two Darwinians on both sides of the Atlantic is an unexpected constituency - the American creationist/intelligent-design lobby. Huh? Dawkins, in particular, has become their top pin-up. How so? William Dembski (one of the leading lights of the US intelligent-design lobby) put it like this in an email to Dawkins: "I know that you personally don't believe in God, but I want to thank you for being such a wonderful foil for theism and for intelligent design more generally. In fact, I regularly tell my colleagues that you and your work are one of God's greatest gifts to the intelligent-design movement. So please, keep at it!" [However,] Michael Ruse, a prominent Darwinian philosopher (and an agnostic) based in the US, with a string of books on the subject, is exasperated: "Dawkins and Dennett are really dangerous, both at a moral and a legal level." The nub of Ruse's argument is that Darwinism does not lead ineluctably to atheism, and to claim that it does (as Dawkins does) provides the intelligent-design lobby with a legal loophole: "If Darwinism equals atheism then it can't be taught in US schools because of the constitutional separation of church and state. It gives the creationists a legal case. Dawkins and Dennett are handing these people a major tool." [...] Ruse put on the net an email exchange between himself and Dennett in which he accused his adversary of being an "absolute disaster" and of refusing to study Christianity seriously: "It is just plain silly and grotesquely immoral to claim that Christianity is simply a force for evil." Dennett's reply was an opaque one line: "I doubt you mean all the things you say." Does evolution necessitate atheism and therefore violate America's wall between 'church' and 'state' (and is atheism a religious position)? Bunting also says this debate has implications for 'thousands of young Muslims studying science in Britain'. I'm not quite sure how exactly. I do know that anti-evolution polemics are very popular amongst some (how many I don't think anyone can say) technically-literate Muslims, especially those with a 'secular' education. But, unless Bunting knows something I don't, I am not aware of any urgent Muslim movement in Britain which is going to great pains to have Intelligent Design taught in the National Curriculum (even if was to be taught, the place for it should be religious studies). Paul Vallely, in today's Independent, looks at Muslim contribution to science and technology and points to 1001 Inventions, an educational website created by the makers of Muslim Heritage, which aims to popularise Muslim roles in the history of science and technology. The 1001 Inventions Touring Exhibition is currently on at the The Museum of Science and Industry Muslim in Manchester until June 4. 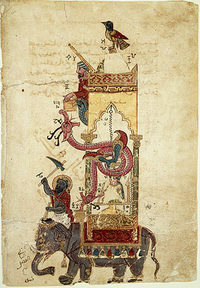 I think exhibitions and websites like these are good because they are educational and instructive to people who might otherwise not know about Ibn al-Haitham or al-Khwarizmi; or to those (including Muslims) who believe that being a Muslim necessarily requires the abandoning of critical thinking (although not all scientists and engineers of past Islamic societies were Muslim). However, I hope it doesn't lend itself to the romanticised view of Muslim histories but a recognition that you need to think freely in order to be innovative. It can be said with surety that science in Muslim countries today is underdeveloped, and that by and large Muslim societies are scientifically illiterate. Where once Muslims defined and shaped the sciences, today our contribution to science is platry; pathetic might be a better word. In fact, most reliable indicators suggest the scientific output from Muslim countries is nearly negligible. Science is challenging our core notions on what it means to be human and some might even push science to answer why we are, as opposed to just what we are. But we are not involved in the debates surrounding science and its place in the societies we inhabit. There are possible exceptions to the current norm: Iran and Turkey seem to offer the best hope of a rigorous and good science emerging from an Islamic context (do not confuse this for the "Islamisation of science"). Indeed, according to a study (paid link, here is another link discussing the results) last year by the the UK's cheif science advisor to the government, only Iran managed to (just about) enter the top 30 nations in terms of scientific contribution. And both Turkey and Iran are the only OIC members whose universities make any sort of impact on global scale according to the ISI. That only two people from Muslim countries have won Nobel Prizes in science, and that even these scientists had to conduct their research outside their birth countries (although in the case of the 1979 winner for physics, the Pakistani scientist Abdus Salam, had to leave because of persecution; he was an Ahmadi) merely underlines the point. There is some talk of change for the better in other Muslim countries, but we shall see. There are some real economic and political concerns which do hamper development. Undoubtedly you need money, spent correctly, to produce institutitons that can produce science of a high calibre (though this isn't the limiting factor -- the UK has a better citation rate per unit GDP than the US, although the latter is vastly richer). Here the economic argument sometimes merges with the political one. Vested foreign interests do indeed prevent Muslim coutries -- who also happen to be some of the poorest -- from spending an adequete amount on health, education, and other basic necessities. Many Muslim countries labour under huge outstanding debt. Though one often finds it is these same Muslim countries that will spend lavish sums on arms to defend themselves in wars they usually manage to lose, or on armamants they don't know how to use except on their own populations. And let's not forget that the political classes in Muslim countries -- that is the ruling classes in almost all Muslim countries -- have systematically raped the wealth of their nations and, with rare exceptions, are happy for such a state of affairs to continue. This situation has arisen partly because Muslims have not managed to create stable forms of government in the current era, content as we are to either ignore the question altogether (even acquiescing in crimes comitted by the various kleptocracts and autocrats), or engage in utopian projects which are often so hoplessly unrealistic that it's frightening; worse still, some of us, in our pious delusions, try to recreate the past (this is something that is impossible to do for so many reasons). Political instability doesn't lend itself to creating a culture of learning, or attracting foreign talent and investment (which you need if you want to develop leading science institutions). In fact Muslims countries probably produce a net-loss of 'brains'. The state of science in the richer Muslim countries leaves a lot to be desired. But this isn't a new issue. Indeed it is now over a century old. The response from Muslims started to take shape around the late 19th-century, when some Muslims -- who we might say created "Islamic modernism" -- concluded that it was science and technology (crudely, the 'application of science') that had given the West the upperhand. The response from the modernists was simple enough: since, in fact, We Gave The World Science Several Hundred Years Ago, then our re-appropriation of this science was perfectly legitimate and desirable, even an obligation of sorts from the Almighty Himself. The very word ilm in Islamic discourse was taken to mean all forms of knowledge and especially scientific knowledge. And it was these modernists whose real legacy to the ummah was to define the Muslim discourse on science in the 20th-century; for by and large Muslims have continued to accept modern science and her technologies on practical, pragmatic and an ad-hoc basis. But there are unresolved issues with this path. I contend that one of the reasons (though not the only reason) why we have a 'poverty of science' in Muslim countries is because 'pure' science is viewed as potentially subversive, as good science only recognises its own internal logic. Modern technology, on the other hand, is viewed as 'useful'. Not even the most "conservative" Muslim politician, for example, will denounce the television if he can appear on it to propogate his opinions. The Taliban drove SUVs, carried modern firearms, and used mobile telephones to communicate. Bin Laden uses satellite technology, and the internet has become a source of propoganda for many would-be "jihadis". In fact, the lust with which Muslim countries gather modern forms of weaponary would give psychoanalysts a field day. But science and technology go hand-in-hand (though aren't neccessarily linked), and both change the way in which we view the world. Modern science also changes the way in which we view space, time and being. It changes what we think of when it comes to our bodies and our minds, and how these are controlled. What does it mean, for example, when at the quantam level everything is said to be indeterminate and indeed unknowable? What does that do to certainty? Take more practical examples. How well does the design of modern weaponary, whose sole purpose is to inflict as much pain as possible, sit within an Islamic ethical view? Do we endorse flesh-burning devices in a war? Time, something very precious in many religious traditions and without doubt in the Islamic traditions, has changed immensley thanks to so many modern technologies and functions of the modern city. In classical Islamic traditions, the journey to seek knowledge was an arduous one, but considered a very rewarding one (if done for the sake of God, of course). Many famous names in Muslim memory endured the perils that came with travelling across hundreds of miles 'to seek (religious) knowledge'. But today, we can cruise to the other side of the world and keep in touch with our loved ones via the telephone, the email, and in the future who knows? Is the physical and mental effort lost somewhat? God knows best. I am not saying that any of these technologies are "good" or "bad" in anyway (indeed, they're possibley "good" in many way) or that someone making the trek to seek similar knowledge is any less worthwhile (that would be an outrageous claim anyway). But in our age the mental and physical spaces probably appear different to what they would have done in, say, the 11th-century. Technology has helped that change occur. In many Muslim countries religious establishments compete with secular universities and we can have a good guess which attract the best and agile minds. Is this a good thing for our communities? In addition, this juxtaposition of a 'secular' cirricula and a 'religious' education can have the danger of creating double-think: we need to start making spaces for our religious beliefs which are sheltered from the ever-growing space that science tries to occupy. This can create a sort of 'intellectual fiedism' (or a 'fideistic phantasmagoria' if you want -- thanks to Eteraz for that fantastic phrase). A stronger version of this would be to give religious truth precedence over a scientific claim. In this case we need to ask (i) how far can our claims that our religion is compatible with science be held (which many Muslims do claim); and (ii) whether we want to continue learning this modern science, which could have both long- and short-term implications. One response to the existing dislocated state of affairs has been to try and create an "Islamic science". One such path of this "science" is the ugly and profane attempt to distort science so it marries a religious belief -- or even worse to distort a religious text in order to fit the science. Everything from the Big Bang, DNA, evolution, oceanography, space travel, as well cures to a variety of illnesses and debilitating conditions (e.g. diabetes, stomach ulcers, rheumatism, high blood pressure and dysentery) are said to have been anticipated in the Qur'an (and the hadith literature) long before the emergence of modern science. In doing so we've turned an unknown French surgeon  into an household name and created an entire industry whose sole purpose is to produce bad science, which some have the temerity to call "Islamic science". Other similar attempts at such an "Islamic science" include trying to harness jinn to solve the world's energy crisis, or deriving formulae to calculate the level of hypocrisy in a society. I contend this has something to do with the crude way in which science and religion are taught. Indeed, it isn't surprising that such apologetic material is promoted mostly by technically-literate Muslims who have had a secular education and understand the importance and power of the scientific argument in the current world. There have been more genuine attempts at making an "Islamic science". These include attempts in the late 1970s and 1980s to create an ethically-based Islamic science by Ziauddin Sardar and the "Ijmalis" (a group of academics who published their ideas in the journal Inquiry). The Ijmalis followed the science-as-a-social-contruct path of some post and believed that the purpose of science was to solve problems for societies. Modern science was tied too strongly to Western cultures, and so dangerous to Muslim societies. As such an "Islamic science" would be have to be tied to Islamic cultures and an Islamic ethics. This seems to repudiate not only Islamic history -- where science flowed from the outside in to help create an Muslim scientific tradition -- but also has philosophical problems: how do you create an ethically-sound science if you do not produce a philosophy or ontology, but merely reduce all knowledge to sociology (which is what happens when we make everything merely a form of "construction")? However, Sardar has outlined explicit demands, unlike others discussed below, of what this Islamic science needs to do: to solve problems that directly affect Muslims, such as disease, poor sanitation and agriculture. Also outlined was an attempt to further traditional knowledges, especially medicine. Ismail Raji al-Faruqi's "Islamisation of knowledge" (or 'Islamization' if you read American English) suffered from similar problems: by concentrating solely on the social sciences, and holding this to be the real arbiter of "truth", that project created a sort of 'sociologism'. Even the traditional alim became subject to a truth-check by the Muslim social scientist and his Islamised form of knowledge. In addition, unless al-Faruqi was claiming that the Islamised form of knowledge was more 'objective' than the 'secular knowledge' he criticised, then what would be the point of this knowledge? And would someone who was not a Muslim be able to accept and use such knowledge? Both Sardar and Munawar Anees  have criticised the Islamisation project because of its ignorance surrounding the natural sciences, and its acceptance, implicitly, of the modern division of knowledge. While the Islamisation project is now centred around the International Institute for Islamic Thought (IIIT) in the US, the Ijmali position is less well represented since they are not associated with any particular establishments and so less able to disseminate its ideas. Another attempt at an Islamic science is Seyyed Hossein Nasr , the Iranian-American philosopher, and Muzaffar Iqbal  a Pakistani-Canadian chemist. Nasr, known for his criticisms of all forms of modernity, has posited that an Islamic science must differ from modern science, not only by setting a few ethical limits or providing an epistemic correction to its practioneers, but by starting from scratch. That is by remaking a science which is intertwined with an Islamic ontology and philosophy. Nasr regards modern science being based on the secularised assumptions arising from the Reformation and then the Enlightenment (although this misses the important point that many Christians saw their science as an investigation of the Revelation by God called 'Nature'). More explicitly, Iqbal suggests that a scientist, who has also trained in the Islamic tradition and whose world is informed by an Islamic metaphysics (based on the Qur'an and the Prophetic sunnah), namely that of tawhid, will once again retread the path of al-Biruni, Ibn Sina or al-Haytham. The science made by such people was rooted in a particular cosmological view and regarded knowledge obtained about the world as in conformity with revealed knowledge (which comes direct from God). This requires, according to Nasr and Iqbal, a recreation of the view of nature as a sign (ayat) from God, of which an investigation would lead to the "traditional sense of contemplation [...] not in the modern sense of analytical function of the mind". But how does this neccessarily differ from science today, when the very notion of purpose (or "contemplation" in a traditional sense) is something that modern science never claims to investigate? Indeed it is psuedo-science that suggests that there is a way of measuring or testing 'purpose', whether this be religious or secular; scientism, the idea that all is explained by the scientific method, is in fact not science or appears to be an abuse of science. For example, a Muslim seeing some pattern in nature, would obviously say this is a pattern which was created and sustained by God; the scientific explanation to this Muslim explains merely a "what" or "how" but leaves out the "why". It is the "why" which integrates this "fact" into the overall cosmological view of the Muslim (provided ultimately by revealed knowledge). An atheist seeing the same pattern, while perhaps appreciating its aesthetic quality, will usually stop at the scientific explanation give by a biologist, chemist or a physicist; the "why" for this atheist is meaningless or is limited to "coincidence". But in neither case has the individual interfered with "the science". Iqbal's and Nasr's moves to create an Islamic science run the risk of tying up particular scientific claims with the metaphysical truths of a particular religious tradition. Iqbal, wanting to recreate what he calls the "Islamic scientific tradition", runs the danger of resurrecting the truths that sustained that particular tradition before it withered. For example, many Muslims who worked within the tradition Iqbal describes also worked on and advanced alchemy, the aims of which we understand are useless (you can't change base metals). Today we would be loathed to say that their work on alchemy is neccessarily associated with some Islamic metaphysical truth. The main benefit of Nasr's and Iqbal's approach, however, is that there is an attempt to produce a holistic vision of knowledge, rather than disperate attempts at explaining this or that element of "life" -- in this they certainly reflect the better Islamic approach (since tawhid is the integral feature of Islam). Pervez Hoodbhoy, professor of high-energy at Qaid-e-Azam university, Islamabad, best represents the demands that Muslim societies need to increase their assimilation and integration of modern science in order to arrest their decline. He also sees himself as a critic of "religious orthodoxy". His call echoes the call of his fellow countryman, the scientist Abdus Salam, as well as the modernists of the late 19th- and early 20th-century. Indeed, Hoodbhoy demands that Muslims must abandon all idea of an "Islamic science", which is a delusion in his opinion, and accelerate learning of modern science to arrest their decline and eventual destruction; 'Darwinian logic' dictates this. He has criticised both Sardar and Nasr of doing a disservice to Muslims in their insistence on making an "Islamic science" for Muslim consumption. Hoodbhoy's argument rests on the rejection of relativism in science: there is no such thing as "Islamic science" or "Western science" but only good science and bad science. So he is concerned that non-scientists should not dictate what does and does not make science. From Islamic history, he picks out Ibn Rushd (and a few others like Ibn Sina and Ibn Khaldun) as the paradigm to follow, because of his unwavering comittment to rationality. b. To attract people to study science, it needs to win 'mindshare'. It needs to answer the question: why would someone want to become a scientist? So, science has to be shown to have practical benefits, and not merely an intellectual pursuit for the elites and a few eccentrics. This sort of 'propogation' is conducted by those who would have vested interests in what kind of science is pursued. This is a problem even modern societies are struggling with: the dwindling number of students who take up chemistry or mathematics is a cause for concern in the UK, with some university departments even closing their chemistry departments or merging their mathematics departments. This is part of the debate surrounding the 'ownership' of science. If "Islamising" science means making Muslims at large become involved in science because they are shown the benefits of such an engagement, then perhaps we shouldn't be too concerned with labels at this stage. By ignoring these points Hoodbhoy is guilty of reducing science to a collection of mere data, when obviously it is a lot more than that. Of course, Hoodbhoy has no interest in trying to see where science stands in relation to Islamic knowledges; he has adopted, wholly, the secularist position of religion as private belief. But Hoodbhoy's scathing criticisms of Islamic science are pertinent and worthy of consideration by its advocates. Afterall, unlike Nasr and Sardar, he teaches and lives in a Muslim country and sees the problems first hand. The latter two take the obvious benefits of modern science and technology where they live, so it would seem a tad hypocritical for them to deny Muslims, many of whom live in abject poverty, the same benefits (although a reversal might be that Nasr and Sardar also the downsides). There are philosophical concerns too. Though Nasr and Iqbal make an appeal to earlier Muslims like al-Biruni, one has to ask whether or not the likes of al-Biruni, Ibn Sina and al-Khwarimzi saw their science as universal or somehow limited to their tradition. If it universal, then anyone ought to be able to appreciate the science. The significance of the scientific "facts" comes from outside the actual discipline, though there may well be interconnections with the science (for example, a religion that totally denies the material aspect of human life is not going to be neccessarily conducive to science). I suspect that at their time all "scientific" knowledge created/discovered was deemed as being universal and singular (afterall, for a Muslim all knowledge is ultimately from God and the Truth must be one). So how can Nasr distinguish between "true" Islamic science, and the false or destructive science of others? There is also the question of who defines science. Afterall, other disciplines would resist the same demand to have their work brought under the control of other experts. Since Muslims are fastitidous (and not without good reason) about traditional Islamic knowledges being studied and defined by specialists in that tradition (and not outside it) they ought to understand this concern. Should science come under the 'guidance' of religious scholars? I am yet to meet a scientist, Muslim or otherwise, who would accept such a view. Science must, if it is to be a useful and productive endeavour, obey its own logic. I suspect religious scholars might express scepticism at the strength given to scientific claims, although this doesn't stop some from using science to define or explain some facet of the shari'ah or using scientific arguments against a particular scientific claim (most notabley evolution). One scholar criticises the over-confidence in science and its abilities to answer questions in popular culture today and its ability to answer questions. But of all the scientists I know none of them claim that science makes ultimate "truths". Rather that it provides explanations based on available evidence; which makes them liable to revision. So we arrive back at the point where we ask how does Islam meld with modern science and how we teach science and religion in Muslim countries. Or do we need to make a new "Islamic science" which reflects our religious traditions a path which has creates a whole set of other issues to solve. For my own part, I do certainly believe science has a social/cultural aspect, but that you can't reduce science to some cultural viewpoint. As such the 'why do science?' and 'what to pursue in science?' questions have a strong social component. Societies who prize power and wealth might develop science (and technologies, since science has an ever increasing connection with technology) which aim to give them such power through the creation of arms or exploitation of natural resources. Societies who view the world around themselves as a trust from some higher source will develop sciences and technologies whose aim is to preserve their surroundings and to mitigate against wastage. But the methods used to get the answers must be universally appreciated by any scientist with appropriate training. In addition, and perhaps more to the point than abstract argumentation, the whole "Islamic science" movement, as outlined broadly above, has struggled to produce anything practical, notwithstanding the other factors which may impede their development (that you do not create -- or rejuvinate according to Iqbal -- a scientific tradition overnight or in a couple of decades is also a point worth noting). For the forseeable future, even an anti-modernist like Nasr acknowledges that modern science and technology will continue to penetrate Muslim societies. Some of this maybe beneficial to solve various problems. Can Muslim societies afford to fall further behind by abandoning science in their wait for an Islamic science to materialise? One thing not discussed is that, perhaps, there is more than one way to pursue science for Muslims, that no individual can have monopoly on "the truth" since we are always learning, always integrating, and always transforming knowledge, and God knows best. This sort of tasfir of the Qur'an actually had a rather short-lived existence in the 19th- and early 20th-centuries. See Muzaffar Iqbal, Islam and Science (2002). Maurice Baucille's The Bible, the Qur'an and Science has been translated into countless languages in Muslim countries and forms the basis for the apparent 'scientific miracles' that are to be found in the Qur'an. I also discussed this in "Against Muslim apologetics". Sardar's ideas are presented in Explorations in Islamic Science (1989). He has also written numerous articles and newspaper columns, some of which have been collected in Islam, Postmodernism and Other Futures: A Ziauddin Sardar Reader (2003). The place to start with al-Faruqi's suggestion is Islamization of Knowledge: General Principles and Workplan (1982). The IIIT publish the American Journal of Islamic Social Sciences. Anees is a Pakistani-American biologist by training who currently resides in Paris. He used to contribute to Sardar's magazine Inquiry: A Magazine of Events and Ideas and has numerous journals and articles to his name. He has been listed in several biographical references, has been selected as one of 40 international scholars recognised by UNESCO and was elected as a member of the Royal Academy for Islamic Civilization Research, Jordan. His major contribution to the Islam and science debate has been Islam and Biological Futures: Ethics, Gender, and Technology (1989). He was an advisor to the Malaysian government, until the scandal surrounding Anwar Ibrahim erupted. Nasr is a perennialist, also often referred to as 'traditionalist philosophy'. Within contemporary Muslim debates (and especially for English-speaking Muslims), traditionalism refers to the classical Sunni traditions of Islam, distinguishing itself from modern interpretations. The two should not be confused, though they may well overlap on some philosophical issues. In any case Nasr comes from the Shi'a traditions. The most pertinent of Nasr's works to this discussion are: Knowledge and the Sacred (1981) and The Need for a Sacred Science (1993) which spell out his ideas for a scientia sacra; The Encounter of Man and Nature: The Spiritual Crisis of Modern Man (1968) and Religion and the Order of Nature (1996) represent his critiques of modern science. Nasr emphasises the need for a contemporary historiography of Islamic science, bemoaning the lack of attention Muslims have paid to history and philosophy of science -- another way in which 'positive' science has penetrated Muslim thinking. Iqbal is lives and works in Canada, where he runs the Centre for Islam and Science. He spent the 1990s in Pakistan where he has been a member of various boards and organisation which concern themselves with Islam and science. He resigned from his position as a science advisor to OIC, which he regards as an organisation pursuing agendas other than those related to helping Muslims. He has published a number of works on the history and philosophy of science, and the role of science in the Islamic tradition, including Islam and Science (2002). He is also the founder and editor of Islam & Science, a journal of science from an Islamic perspective. Iqbal refutes this charge by citing a debate between al-Biruni and Ibn Sina. See Islam and Science (2002), especially the last chapter. See Leif Stenberg's The Islamization of Science: Four Muslim Positions Developing an Islamic Modernity (1996). Here is an example of Sardar criticising Nasr and Iqbal. Hoodbhoy's book Islam and Science: Religious Orthodoxy and the Battle for Rationality (1991), presents most of his ideas and is a scathing attack on the Islamisation drive under Zia-ul-Haq which included the Islamisation of science. But the book is replete with gross errors and unfounded accusations, especially in his description of Muslim history. If you can't get hold of his boook, here is a review, and a sort of rebuttal, of Hoodbhoy's charges. Hoodbhoy describes how graduates and post-doctoral researchers from Pakistani universities conduct research activities on topics like producing formulae for calculating the amount of sawab ('reward for spiritual acts' in Islamic parlance) for praying in a congregation, or how to trap jinn to solve the world's energy crisis. Even worse, he says, are religious vigilantes who patrol many universities and attack those students and researchers who do not conform to their views. Though it must be said that Hoodbhoy also made something of a defence of science in Islamic history, where he urged Muslims to rekindle scientific learning. I would see Hoodbhoy as an example of just the thing I am talking about: a Muslim by birth who is the product of a secular university and who feels he, and Muslims in general, have to choose between religion and science. Thus he casts his defence of science in Pakistan on just those terms. Religion for him becomes relegated to a mere 'personal' belief. There might well be good criticisms of the methods and assumptions used in modern science. For example why and how we measure something, and where we look, is a philosophical question. But note this is not my point here. For example Shaykh Nuh Keller in a letter concerning evolution, writes, "Mere imagination? On the contrary, everything besides this knowledge [of God through the Sufi path] is imagination, for the object of this knowledge is Allah, true reality, which cannot be transient but is unchanging, while other facts are precisely imaginary. The child you used to be, for example, exists now only in your imagination; the person who ate your breakfast this morning no longer exists except in your imagination; your yesterday, your tomorrow, your today (except, perhaps, for the moment you are presently in, which has now fled): all is imaginary, and only hypostatized as phenomenal reality, as unity, as facticity, as real--through imagination [...] This is not to denigrate the power of imagination; indeed, if not for imagination, we could not believe in the truths of the afterlife, paradise, hell, and everything that our eternal salvation depends upon. Rather, I mention this in the context of the question of evolution as a cautionary note against a sort of "fallacy of misplaced concrescence," an unwarranted epistemological overconfidence, that exists in many people who work in what they term "the hard sciences"." A small note on nuclear weapons and "Islamic norms"
Arguabley it is a contentious issue as to whether or not Muslims should adopt "democratic" forms of government. From an historical perspective, it is a powerful argument to embed the formation and creation of democracies within the histories of Christian Europe and its outposts in North America and Australia. It is powerful for those who advocate that endorsing "democracy" is tantamount to an attack on "Islamic norms". It is an equally powerful argument for those who advocate that Islamic societies and thought cannot cope with what democracy brings ("pluralism", "secularism", "civil rights", etc). These are important topics of debate. But not the main thrust of my post. My post relates to the endorsement of nuclear weapons by people who make argument number (1). If indeed "democracy" is solely attached to Christian European histories then why do they also endorse the use of technologies that have been created out of the same histories? We now know that science and technology, though not completely relativistic like some postmodernists would have us believe, are related to how societies and cultures view themselves and the world around them. So if Islamic norms dicatate a particular form of government then there are also Islamic norms that dictate particular forms of conduct in warfare. Suffice to say that nuclear bombs would destroy a lot more than crops, cattle and monks in monestaries. So my question, to those who advocate (1) and endorse nuclear weaponary; why choose one norm over the other? Isn't this itself a relativistic move? I can quite understand the geopolitical world in which Muslim countries (e.g. Pakistan, Iran) operate and so wish to obtain nuclear weapons. But then this Machiavellian logic is the outcome of the "secular politics" that is rejected by the same people advocating (1). So again we have a tension in the claim to uphold "Islamic norms" in one hand, yet on the other hand the eager appropriation of weapons came from a context and were created by histories and societies that are also inimical to Islamic norms and values. Recently there have been a few posts, most notably by Zack Ajmal, discussing evolution  and its place within Islam. This has led to the more general comments of science, and its relationship with Islam, as faith. But, it is patently obvious, that even these writings on 'Islam and science' are often of a poor standard. Forgive me for being so bold and damning in my assessment, but I believe the main problem we have is that there appears to be a distortion of science. This has led to a creation of a whole edifice of an 'Islamised' psuedo-science, which is wholly unacceptable. I am not in favour of the 'Islamisation' of knowledge thesis. This can lead to the very distortion of the 'facts' to the point where the endeavour ceases to be 'science'. The main thrust, in my humble opinion, ought to be in 'Islamising' the ethos, or the significance of these 'facts'. That is to say, Muslims need to develop a proper relationship between their faith and the contents of science, and to ascertain what is means. No amount of science will ever prove God, for surely, the relationship between God and man is on a plain much deeper than science can ever hope to answer. Certainly, what can, and ought, to be criticised is the ideological baggage carried around by much of modern science, whether this be Islamic, secularist, and so on. Indeed, the extreme 'scientism' of some of the Anglo-American philosophical tradition (or the 'analytic' tradition), seems to develop a culture and worldview which must surely be the very antithesis of the central Qur'anic message. See Zack Ajmal, "Muslims and Evolution", 19 August 2003, "Harun Yahya", 20 August 2003, "Evolution: Another Viewpoint", 22 August 2003, "Evolution Discussion Continued", 23 August 2003, "Thermodynamics and Evolution", 24 August 2003; Aziz Poonawalla, "creationary evolution", 23 August 2003. I have already discussed some criticism of modern 'scientific apologetics' by Muslims, in an earlier post, "Against Muslim apologetics", 27 May 2003. Fazlur Rahman, Islam and Modernity: Transformation of an Intellectual Tradition, Chicago: The University of Chicago Press, 1984, pp. 130-131.